Expand your business with VoIP. Connect with Echo has over a dozen years of experience bringing fully featured, economical, on-site and cloud hosted business phone system solutions to clients of all sizes. From single-member law offices to entire school districts, Echo supports a wide variety of businesses and governments. Along with economical phone system hardware, we offer both on-site phone server and cloud-based options, as well as "burstable" phone service to ensure clients only pay for the service they need, At Connect with Echo, we specialize in finding solutions to business needs that are both reliable and economical. The Internet has brought with it many advances in the day-to-day technology we use. These include voice service and business phone systems that utilize flexible, reliable Internet “lines” at a fraction of the cost of traditional phone service. Due to this reliable flexibility and the low cost service that VoIP technology can provide by leveraging existing internet bandwidth, businesses are migrating from traditional copper-wire telephone systems to VoIP systems and greatly reducing their monthly phone costs. Our cost-effective custom business solutions maximize functionality while keeping hardware and service costs low. We assess needs and recommend the appropriate solution for each client. 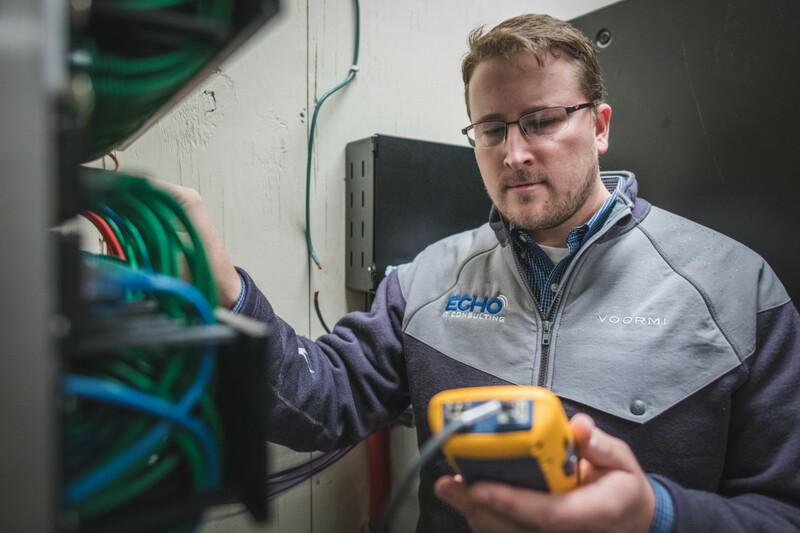 After initial programming and setup, Connect with Echo offers an unlimited phone support option that includes training, monthly maintenance, modifications, and troubleshooting of any system issues. The next step will begin with Echo initiating the migration of your phone numbers, and end with the install of your new phone system. Voice over Internet Protocol is a modernized phone connection method that employs computer networks to transport voice. A VoIP Trunk line is a digital phone line that utilizes the internet to send voice to the public phone network. Cost. Cloud VoIP charges per user are between $25-35. Because the cost grows at the same rate as devices, businesses with more than 20 people are better suited to a local PBX installation. Though they require more equipment up front, local PBX installations have a cost that scales more slowly than Cloud Systems. Over time, you will recoup the initial investment by the lower monthly fees associated with the service. Technical. VoIP Phone Service is highly dependent on consistent Internet service. We recommend a minimum Internet connection up-speed of 3Mbps, many of our clients have 10Mbps or more which allows both phone and general Internet traffic to operate normally. Be aware that ISPs often advertise their DOWN speed first, UP speed is just as important for VoIP. The heart of the system is the IP PBX server, which works somewhat like a proxy server. With a Session Initiation Protocol (SIP)-based system, the VoIP clients register their SIP addresses with the server, which maintains a database of all the clients and their addresses. When a user places a call, the PBX server recognizes whether it’s an internal or external call. Internal calls route to the SIP address of the phone or user receiving the call. External calls route to the VoIP gateway. Phones are one of the most important piece of hardware within the VoIP system. There are many to choose from; please see the page below that includes the options we regularly offer. If you don’t see something there that fits your needs, we always have more options for individualized situations. If an on-premise system best fits your needs, Lenovo PBX Servers are typically the size of a book and can be set on a shelf next to your router or mounted on a wall out of site. For larger installations where a more powerful system is needed we use Dell Optiplex XE2 Mid Towers which are larger than the Lenovo but still smaller than an average PC. Each phone needs a connection to the router. If needed, we will include a new network switch in our proposal so that you are sure to have enough open connections. 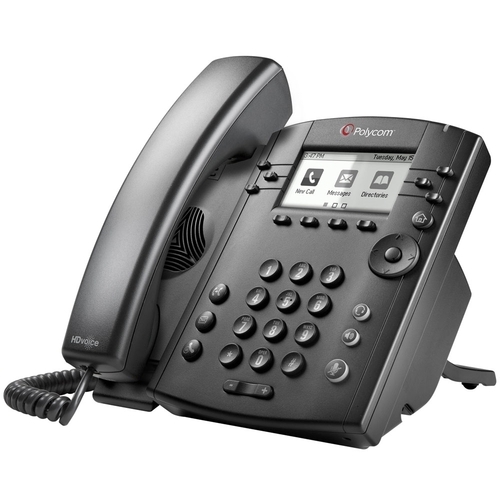 This mid-grade Polycom phone model supports 2 lines with 2 calls per line, and many common features including mute, hold, volume, speaker, and headset buttons, as well as dedicated buttons for voicemail access, forwarding, and do not disturb. It features Polycom’s exceptional speakerphone and HD voice handset and a two-port network switch that will allow each desktop/laptop to be connected through the phone, so no additional network drop is necessary. This handset is a great option for the vast majority of users. An upgraded version of the VVX 310, the VVX 410 includes a colorized, customizable widescreen with additional menu options. 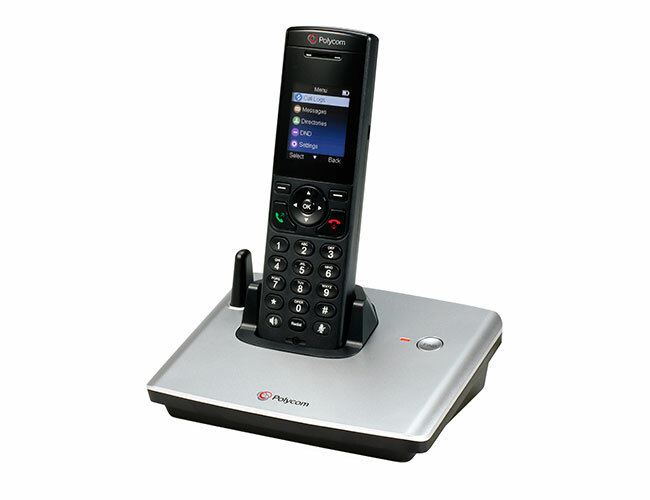 The Polycom VVX D60 wireless handset offers the convenience of a cordless phone without losing the features of the VVX wired phones. The VVX D60 wireless handset is an ideal solution for small businesses, retail environments or administrative personnel who need to collaborate on the move throughout the day. Connect with Echo pricing maximizes functionality while keeping hardware and service costs low. Echo IT is a Pagosa family owned and operated business that can support your individualized phone system in ways a large corporation cannot. Technology improves for a reason, why not take advantage of it? At Echo IT, we believe that VoIP is an amazing, cost-efficient technology that can replace your outdated analog lines with ease.